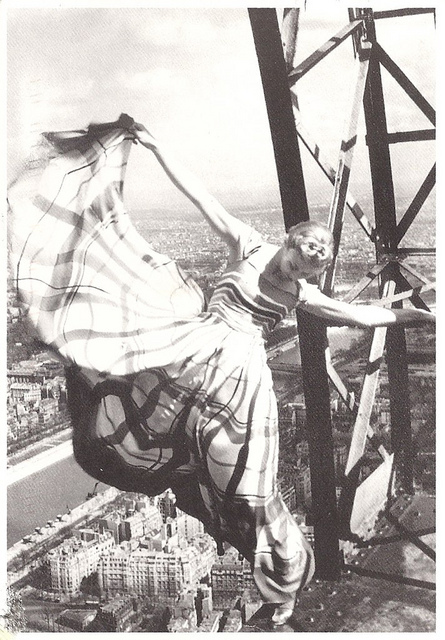 Model on the Eiffel Tower, 1938, photographed by Erwin Blumenfeld (very brave if you ask me!). Just looking at this photo gives me vertigo! How could she do this??? But what a fabulous result! !